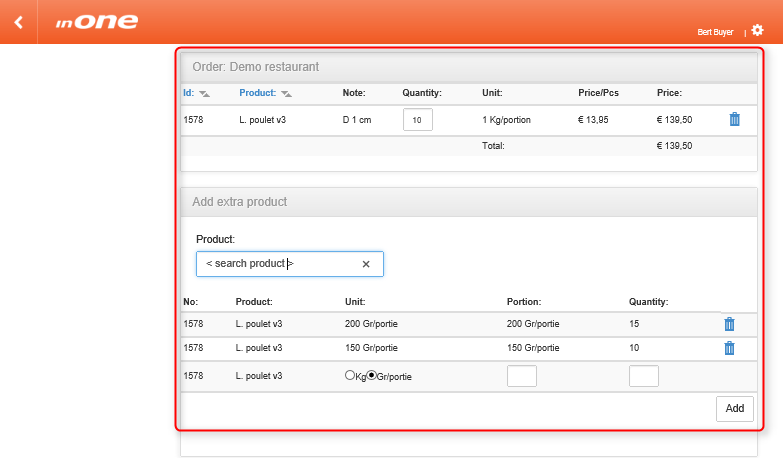 What if you want to order different sized portions from a certain product? 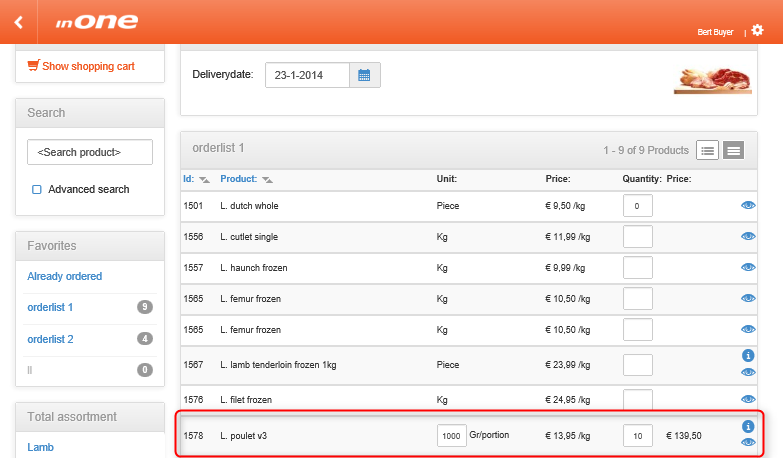 For example a 150 gram and a 200 gram steak? In this article we will show you how to change portion weight and how to add these items to your shopping cart. 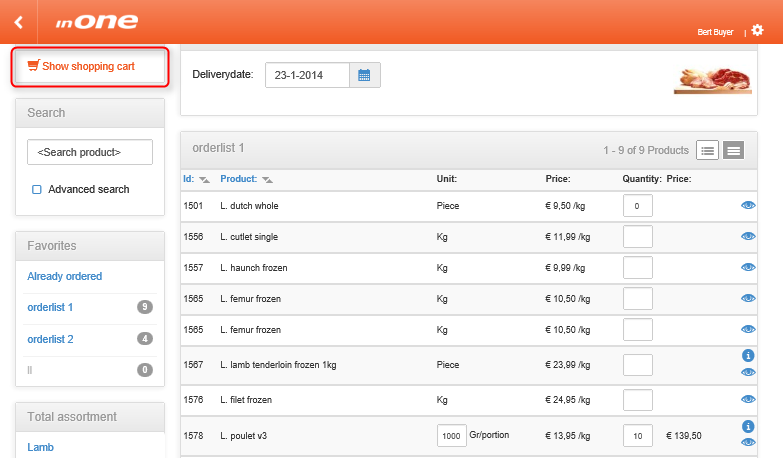 Find your item by using the search engine or choose from your favlist. When the desired items are added to your list, click to view what's inside your shopping cart. 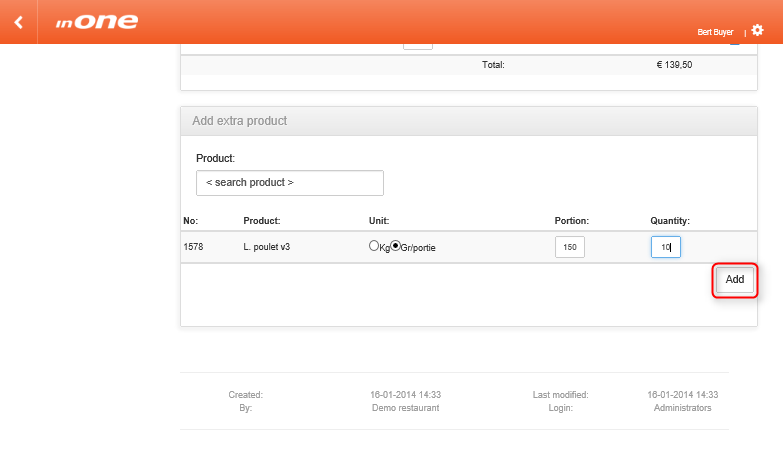 First find the product of choice by typing in productname or number in the search field. 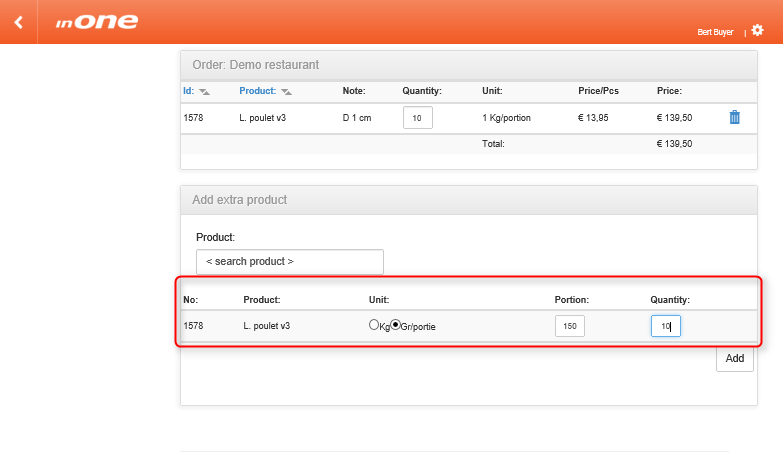 Then select unit type: choose kg or portion weight and fill out the desired portion size. Repeat this step as often as required. The extra items are now added to your shopping cart. Please note that prices are not updated in the list, check your invoice to see the actual costs.